Also, wanted to shout out a STUPENDOUS Freebie over at Fifth in the Middle and Where the Wild Things Learn. Everyone wins today! 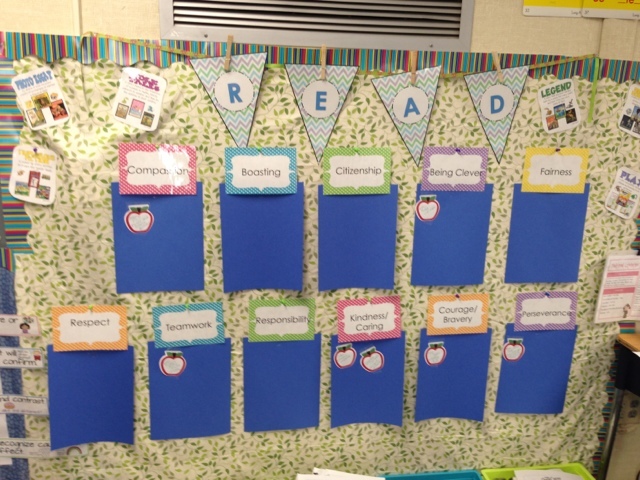 I had to rearrange my Reading bulletin boards this week. It was necessary, though of course that doesn't change the fact that there were so many other things I should have been doing at that moment in time. This board used to be my FACE board - complete with all my strategies. 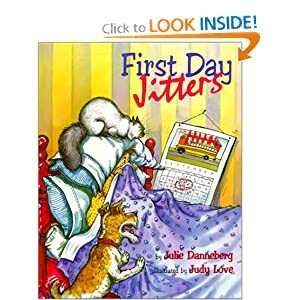 We are changing up our reading a bit this year and starting to stress finding more connections between the stories in the different units with themes. My team sat down last spring and brainstormed the different themes that went with all the different stories in our Open Court. These aren't the unit themes, but rather the underlying current of each story. Some of the titles have more than one theme. 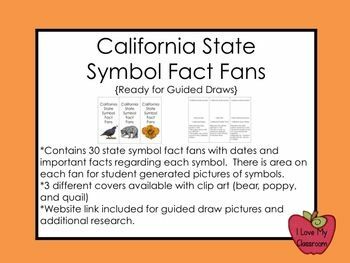 Now, we have already been talking to a famous clip art artist to design some cutesy stuff that will work perfectly - but I felt the need to have those headings up since we have already been reading a bunch (and are already making connections). So I made up some of my own heading cards to use in the meantime, printed, and laminated at 11pm one night this week (yes, a school night), and got this going the next day. The blue construction paper is just stapled up underneath. In class we had a discussion of the different books we have already read (2 OCR stories and 3 mentor sentence books), and then on those little apple post its I wrote the title and how the book fit into that theme. Note to self - the apple post its look like they are sticky, but they really aren't - so I had to resort to tape. Oh well! When we run out of room on a blue sheet, I will just stick another sheet on top - so we can keep on comparing throughout the year. With all this moving around, I still needed to find a space for my FACE board - so that moved to the blank board under my window. I did have to take off some of the more basic strategies for it to fit - but I love how this just worked so well in this area. Those baskets on the ground contain whatever hands on math center of the day. As for my Word Wall - well, it's coming along. 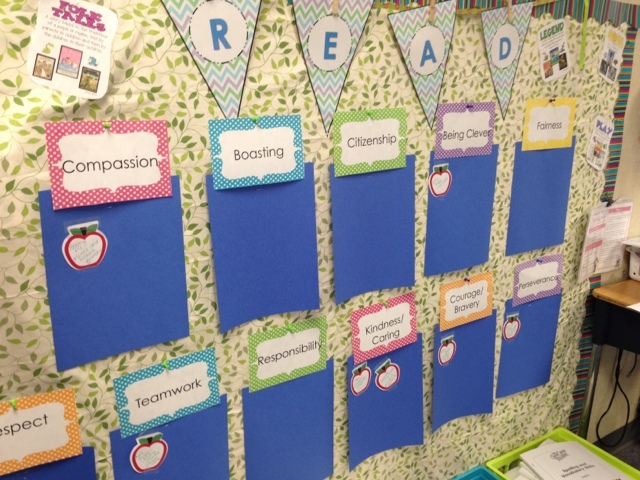 I am using different color index cards for Reading vs. Social Studies vs. Science. My math words are staying on my math wall. Would the headers help you? The frames are from Fun in Room 4B. :) The frames are over at Google Docs and I'm sharing. Just an FYI - I tried really hard to get them centered, but some of those words didn't want to cooperate. 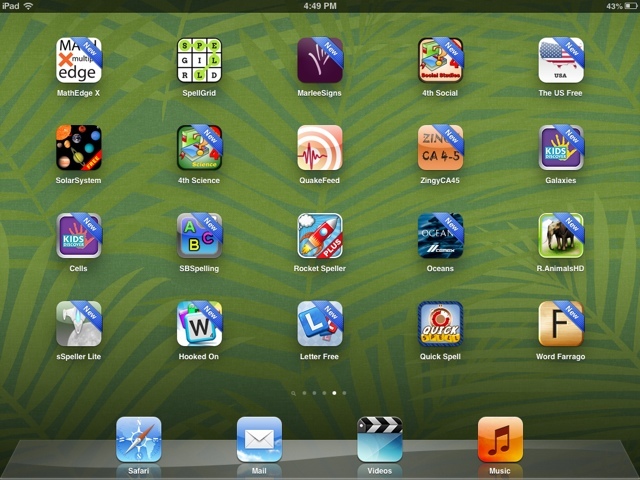 It was more important for me to have the size font for my kiddos to read easily. Wanted to share something that my friend & teacher & grade level neighbor shared with me. Isn't it cute and functional? Last year I used something similar but it was on a trifold display board. It was great that it was portable, but I wanted to leave it up all the time and couldn't due to space. We have used it this year to make connections to the different stories. Post it notes just stick on top. 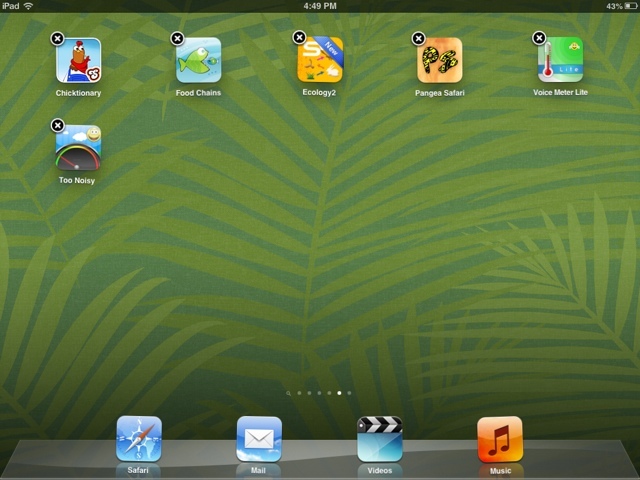 Love it - love how simple it works - love how it is so cute! Hello everyone. I've had a bunch of questions regarding my VOICES (Writing) board, so I figured I would take some up close pictures today during prep. This board basically takes up one wall of the classroom. It's big - but you can see that there is a lot of stuff included in it. 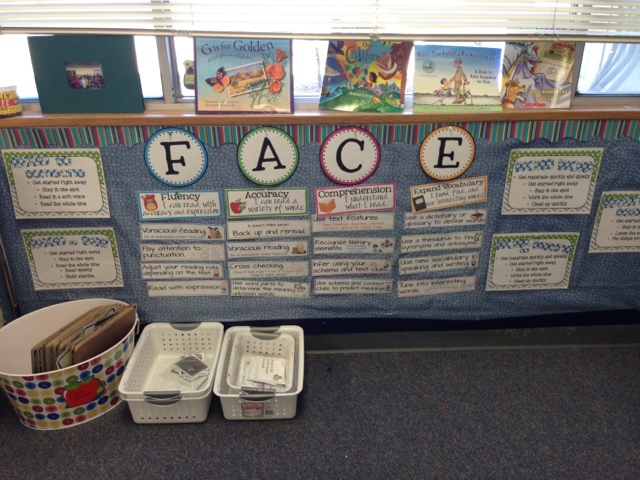 At one point last year I had put both VOICES and FACE strategies on the same board, but with all the stuff that I really want to have available to my students it worked better to separate. The elements on both boards came from Ladybug's Teacher Files - so cute! 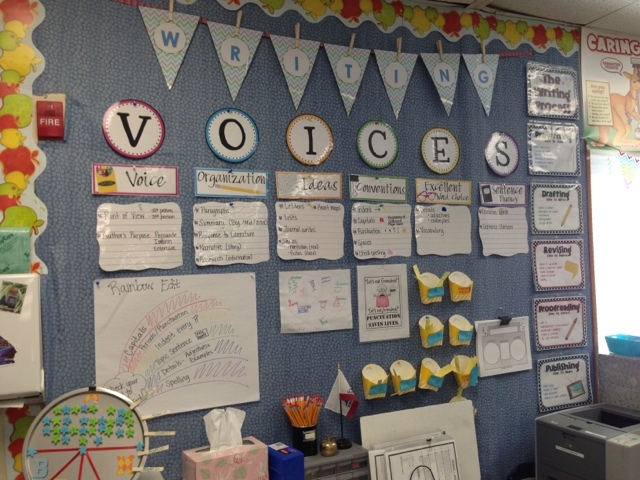 The V in VOICES stands for the writer's voice. I know, repetitive. 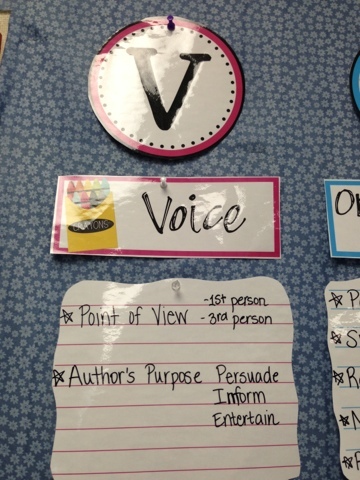 In my classroom, 4th graders specifically learn about Point of View and Author's Purpose. 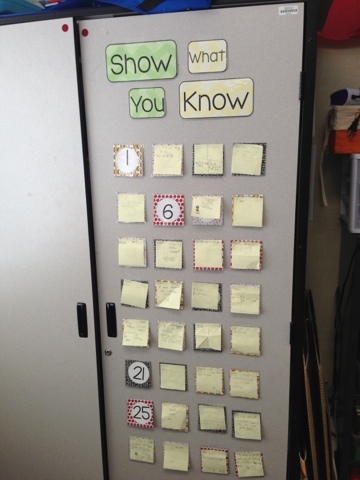 I start the year with all the strategies showing since it's review of things they know. 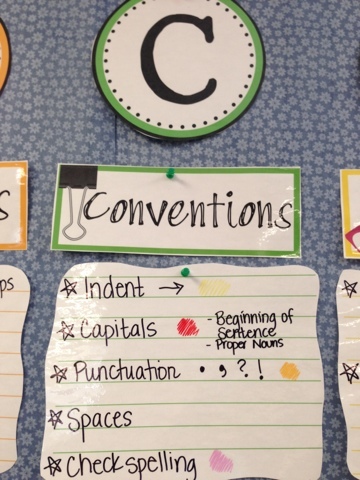 C is for Conventions. They need to check their work to make it the best it can be... Most of these colors go with the Rainbow Edit system that I use. 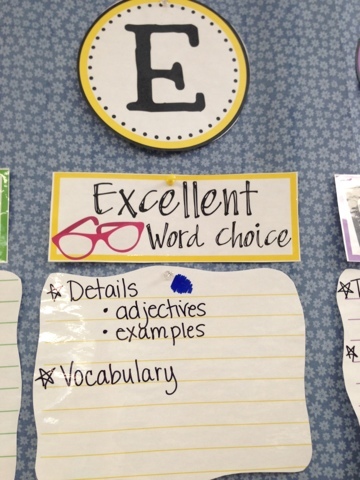 E is for Excellent Word Choice. We talk a lot about using lots of details so the reader can form those pictures in their brains (visualization). That they need to make sure there are tons of adjectives and examples. We discuss their use of vocabulary - the need for strong words. 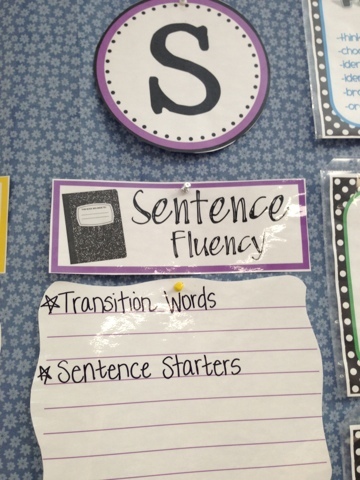 S is for Sentence Fluency. We talk about how each sentence in a paragraph better not have the same word (the, a, I, etc...) to start each sentence- that no one wants to read something so blah and boring. We review transition words/signal words. These all just hang up across the top of the board, and then I have other things underneath. Here they are close up. 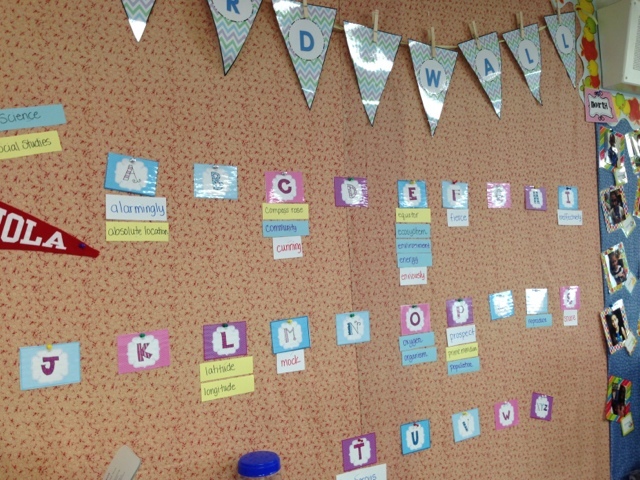 The kids loved the activity of brainstorming (looking it up in a thesaurus) different ways to say common words. 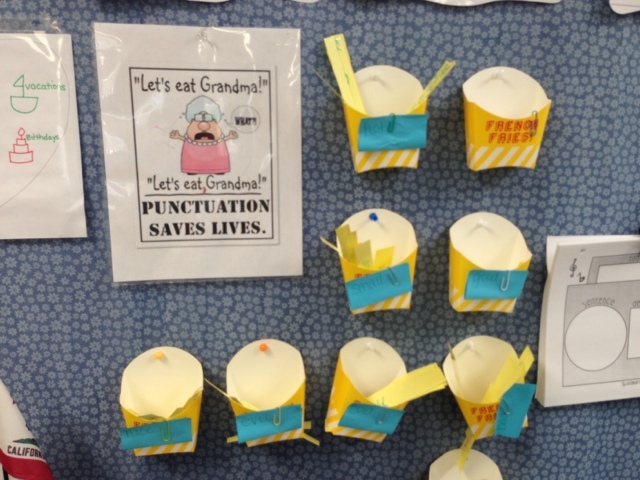 I hung the french fry cups up with pushpins, and the blue words are just paper clipped to the cup. We had just finished the activity when some of the kids made me promise that we would do it again. :) Love the buy in. I told them that we would do it again once a month. 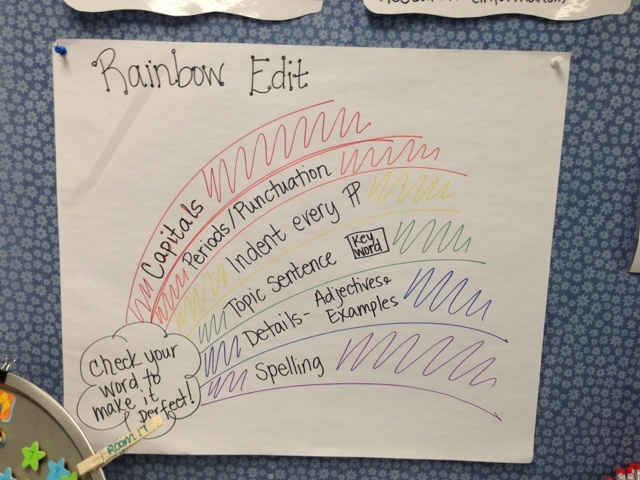 Here's my Rainbow Edit poster up close - also on the board. I hope this answers some of your questions. Hope you had a great day! This morning I was reflecting on this past week, how I absolutely still love my math rotations... and how the schedule this week didn't allow as many ELA rotations as I had initially planned... which got me a little behind. I'm still figuring out how long things take with this group of kids. 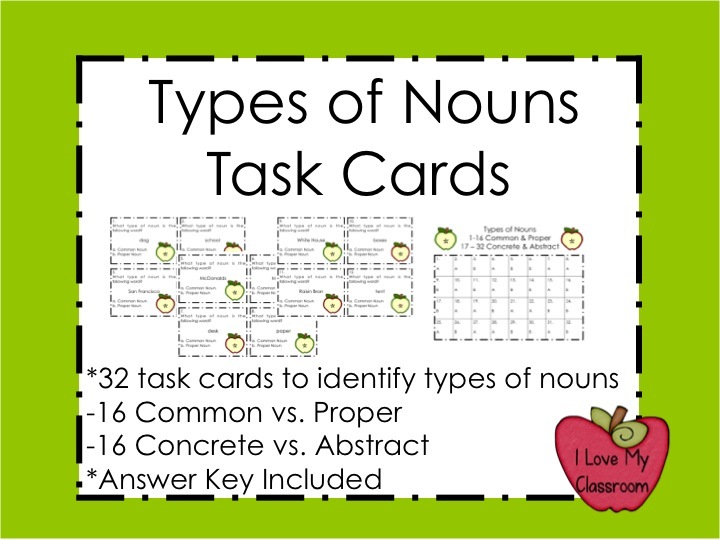 Anyhow, this past week I found out I have created a bunch of the math concept task cards that I need at this moment in time, but when it came to language arts I was lacking. 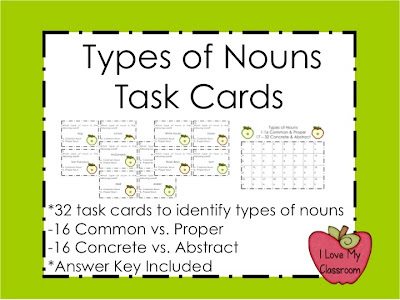 I wanted some task cards for kids to do to review what we just learned for types of nouns. 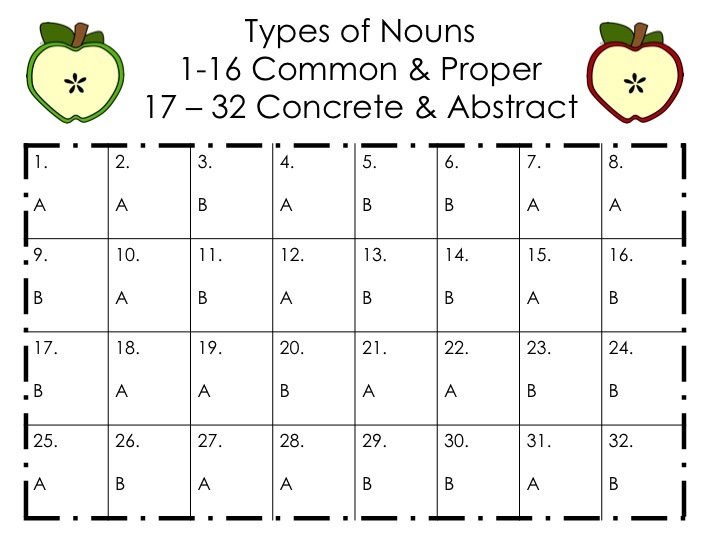 Common and Proper are nouns they come in knowing, but learning about Concrete and Abstract is new... so this morning I sat down and made up 32 cards that I am laminating for myself (right now). 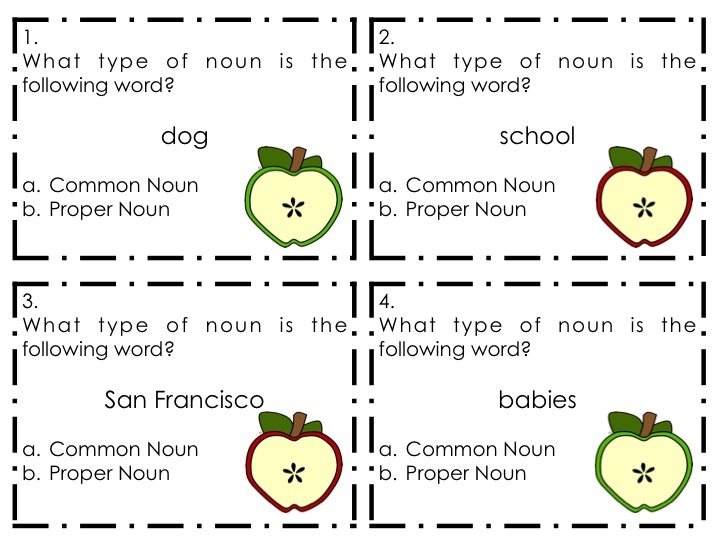 The first 16 cards ask students to identify if the listed noun is a Common or Proper Noun. The next 16 cards ask them to figure out if the word is a Concrete or Abstract Noun. Of course there is an answer key because I love my students to have an easy checker at the station. What else have I been up to this morning? Well - all the families in class turned in their Parent Questions Sheets, and there are so many interested parent volunteers for this year. I'm a little in awe of all the help. :) So I've been organizing and planning out in class vs. home help - and emailing the families to get everything set up to start this next week. 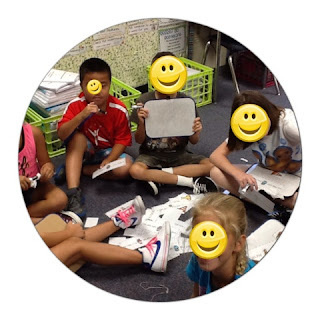 *prep work: laminating, cutting, folding mini books, separating out Book Orders, inserting reading comprehension sheets into sheet protectors, etc. I am just feeling so thankful for such supportive families and a class of sweet kids. It really is going to be a great year! Hi Everyone. Today felt like play time, it was just filled with fun activities. In math we avoided opening up the math book and instead compared & ordered numbers using whiteboards and index cards. 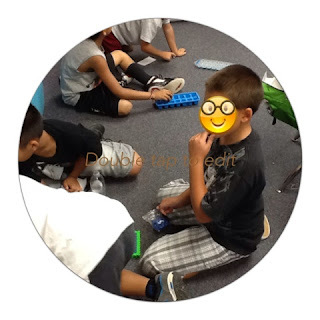 In my small groups we started with each kid thinking of a 4 digit number on their whiteboard, and then the groups would have to do greatest to least or least to greatest putting the numbers in order. Then we bumped to 5 digit, then 6, then into the millions. Then I gave them the challenge of taking 2 index cards a piece, writing down 2 numbers into the millions and ordering them. 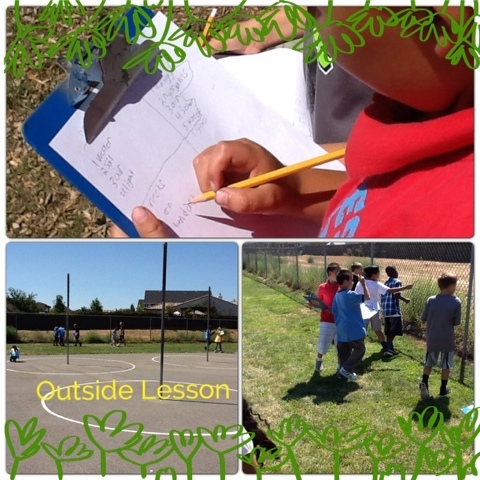 Yesterday and today my class has been learning about Nonliving and Living Organisms. After we defined everything and picked their brains a part making connections, I told them that we were going to take a field trip (outside to the playground). 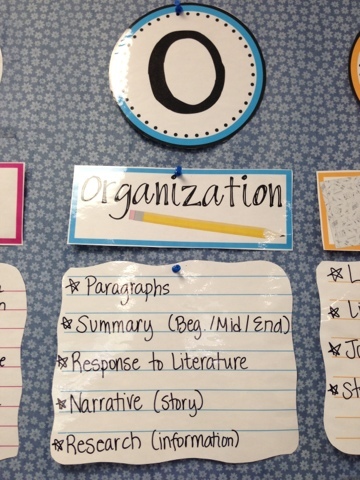 There was a bunch of oooo's (according to them I'm the best teacher ever). We got our brainstorm papers ready and we headed outside. I love my class. I can say that and really mean it. We are totally still in the honeymoon phase and I am eating it up. 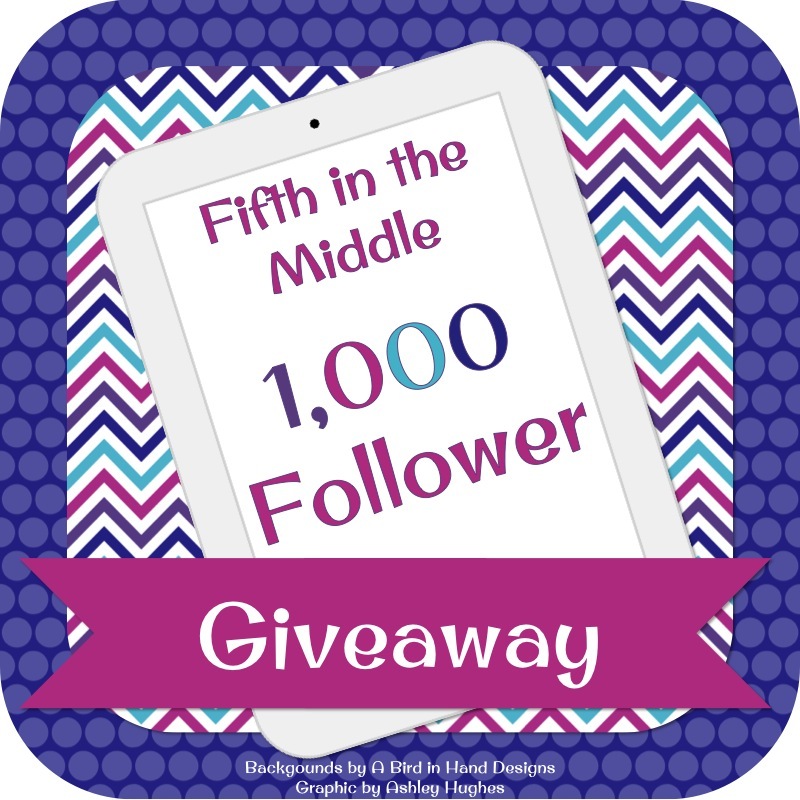 They have been keeping me busy, so I'm sorry I haven't been as constant on here, FB, TPT, Instagram, etc... I am so drained every afternoon. Hopefully soon I will start to not feel like I'm drowning under paperwork. 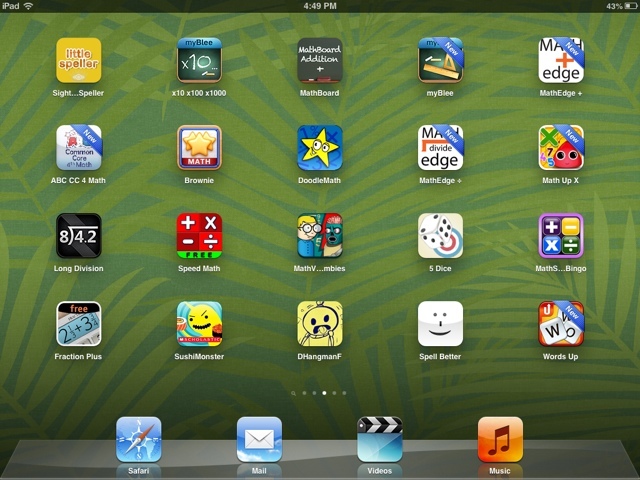 So - yesterday I got my brand new classroom iPad. I love it! I forgot my phone at home today - and decided to try out the iPad camera to see if I could capture a couple of activities of our day. This was my teacher group at that moment in time. Since they got the concept fast they got an extra time to do the task cards. Our Math rotations are so wonderful this year. Maybe it's because I took the lesson part and included it into the rotation (last year I did the lesson full class and then they had the rotations when I did intervention) - but I love working with smaller groups during this time. Today's lesson was about comparing numbers - so I forgot about the textbook and just used my Comparing Numbers task card set - I have the kids grouped by ability at the moment. *Math Facts - they had the choice of activities from the math fact plastic drawers. This was the first day I gave them a choice and they ate it up! *At their seats - I've been having them do the front side of the worksheet for the next day's lesson. I then can change out my groups based on their understandings of what's to come. *Teacher Time - Today I used my task cards, but we've also been using our whiteboards and textbooks. *Hands On - This week I've been adding different place value activities for the kids to complete - we've tackled my Popsicle Place Value and Match Game. Funny/not funny story - I laminated my cards, and just put them out, completely forgetting that the match ones needed to be cut apart. Whoops! I had some eager beaver helpers more than happy to help me cut at the last minute. 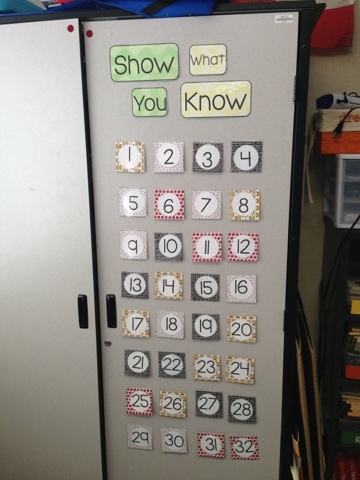 This was the math fact station. After math we tackle Reading. Today was the first time I introduced Read to Someone - complete with the comprehension checkmarks. I was so proud of them for showing proper technique. Here are some of my kiddos. 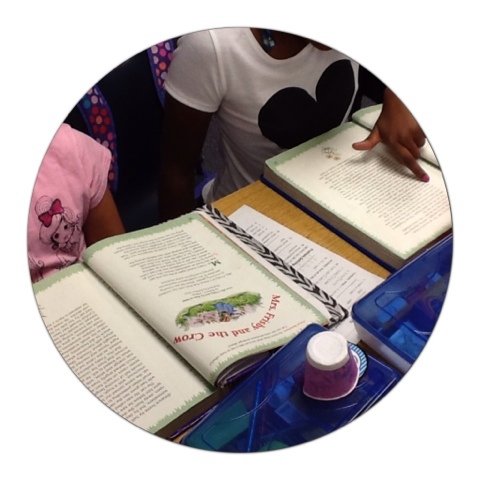 We've been doing so much lately - introducing Interactive Notebooks this week, etc. I'll try to take more pictures tomorrow. Just mainly wanted you to know I didn't fall off the planet (again). Yep, you read that correctly. The sale started at 9pm my time, and I stayed up to almost 1 researching and buying stuff. But I didn't just do it in one or even 2 transactions, I did it in 3. Why? Because I'm indecisive, but also because I wanted to grab the credits from a purchase/feedback so I could knock down my cart price the next time around. So - after all of that, what have I bought so far? 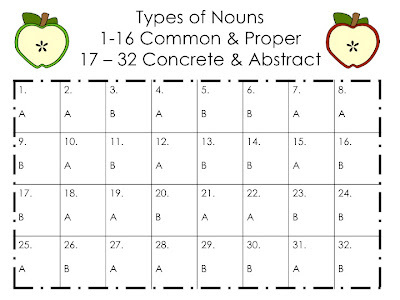 Words Their Way Word Searches - These go with my spelling patterns to start out the year, want my kiddos to have some more options in their word work rotation. Yep, this is a whole class game ($.80) that kids are answering questions, and finding treasure at the end. Reading Response Newspapers - These newspapers work on specific skills for students to use as they create. 4th Grade Interactive Reading Notebook - I didn't know I needed this until we had the linky party last week. Now my anchor charts are going to be cute and functional (and the students' notebooks will too). 4th Grade Language Interactive Notebook - Same type of design, these will add so much to my mini lessons. I am so excited about this as well. 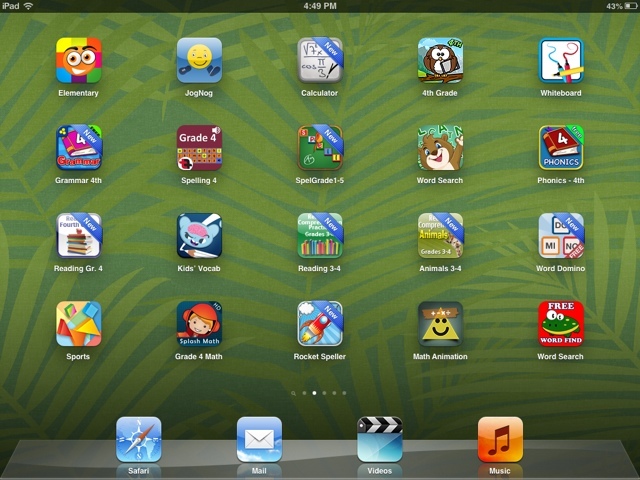 It's the same idea as the other 2 interactive notebooks, but it's all about math. I'm just hoping she will be making more for the rest of the year. 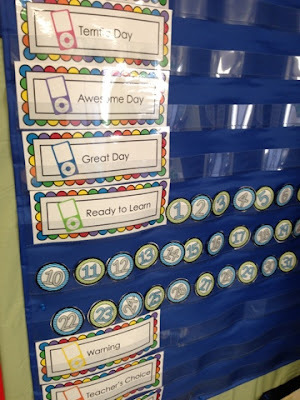 This is the first year that I decided to try a clip up chart. Now, I know I'm still in the honeymoon stage of our year - just one week down, so many more to go - but it has been so much fun seeing the reactions of having kids "clip up". In past years I have always used the colors - green (great), yellow (warning), orange (lose recess), red (lose PAT), and blue (office). This year I kept those same colors but added colors for going the EXTRA mile. 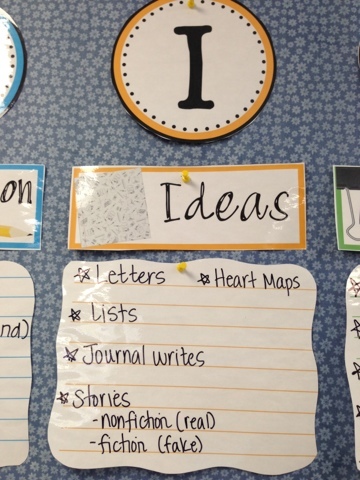 Already this past week a couple of kids each day have been able to bump up based on deciding to do extra writing or helping when hadn't been asked. 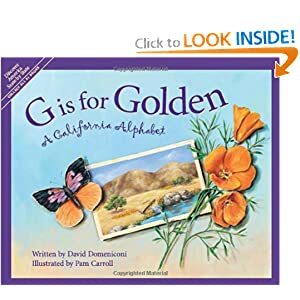 A couple of kids got a little chatty during our practice Read to Self, and instead of stopping everyone, I made mention of a couple of kids that were showing the proper example (they got to clip up) and all of a sudden others were also doing their best. 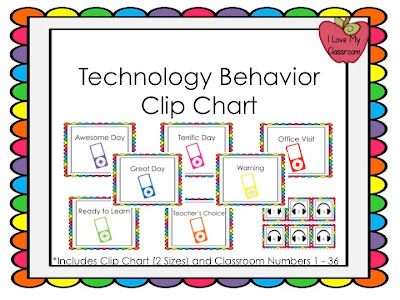 Since I do have a ton of technology in my classroom, I went with my technology themed clip chart for this year. It's over in my store and has 2 sizes to choose from. Since I use a pocket chart, I use the smaller version. What else have you been doing in class? Please link up and share! 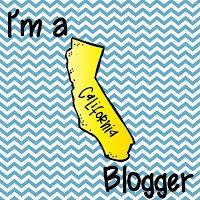 I'm blogging because it relaxes me... and if I wasn't doing something, I would probably be fast asleep on the couch. This week wore me out! 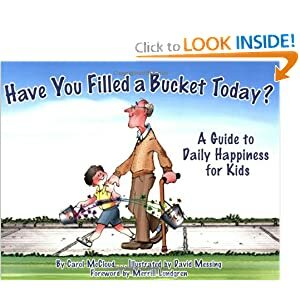 Afterwards we brainstormed ideas for being bucket fillers and bucket dippers. They have grasped the concept! I then went on to explain the bucket filling area of the classroom. 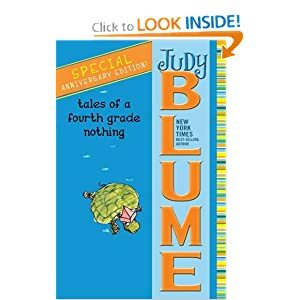 My students have this sheet from my Tales of a 4th Grade Nothing Mini Book in their binders and after every chapter they write a short summary containing the main idea and a couple of details. 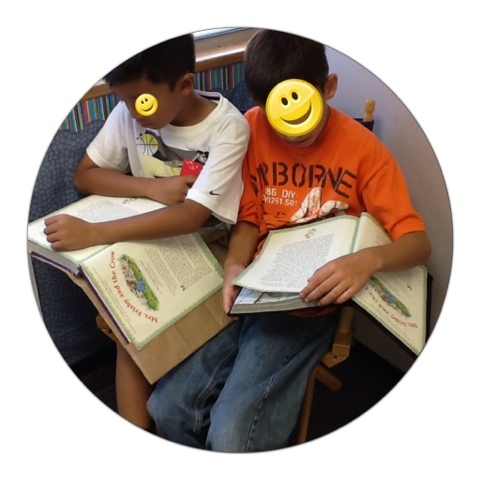 We read more today. I'm still waiting to pull out the Activity Cards and Journal that go with it. Something I have really enjoyed this week have been using these Weekly Reading Records from Stephanie Ann. I have the 5 different fiction sheets copied per table group, kept in the middle of the table. They are laminated and I added a color dot to keep them organized. 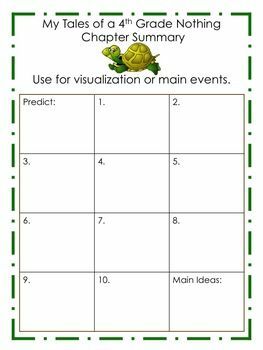 After silent reading time (aka Read to Self), the kids grab their spiral notebook and their laminated sheet and record information about their book - having about 5 minutes to complete the response - practicing different skills and strategies every day. I love it (and I wish I would have started it sooner in my career). Today I just grabbed each set and rotated them to a different table for next week. :) Easy peasy! Hope you had a great week! Just a reminder - my store will be on sale this coming Sunday through Tuesday at 20% off. Yay for sales! Did you get ideas yesterday of most wish listed items or items that my blogging buddies have in their own carts? My wish list certainly filled up AGAIN!